Captain Paul Ross led anglers Fenton Langston of Ocean Reef, Debbie and Jimmy David of Ft. Lauderdale, and Jimmy Hendrix from Tavernier, FL to a never done before feet. 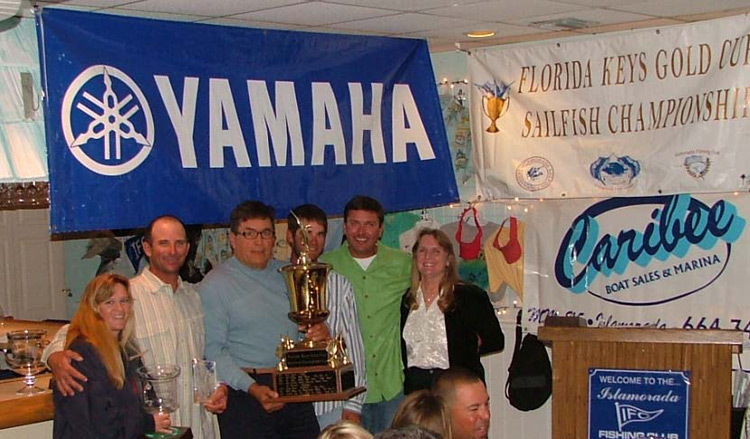 The team won the Florida Keys Gold Cup Championship Series by winning all three of the series events. 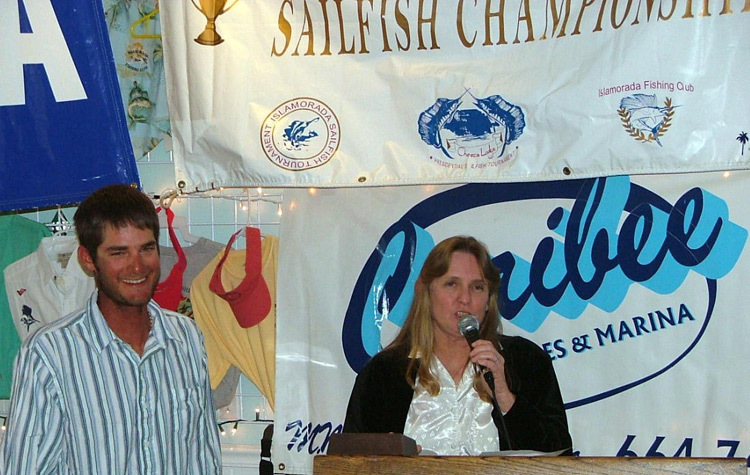 The Islamorada Sailfish Tournament was the first leg of the series. The team aboard the Relentless released 30 sailfish during the three days of fishing. The next leg was the Islamorada Presidential Sailfish Tournament where team Relentless released 11 Sails. It would be the final leg of the trilogy that would find the Relentless doing what no others had in the history of the Gold Cup Series. The Relentless would win the Islamorada Fishing Clubs January Sailfish Tournament with 7 fish. The unprecedented win with a total of 48 sailfish released was attributed to the Captains and Anglers skill and a little bit of luck. Captain Paul Ross has been fishing since birth and has learned from the Keys finest Captains. 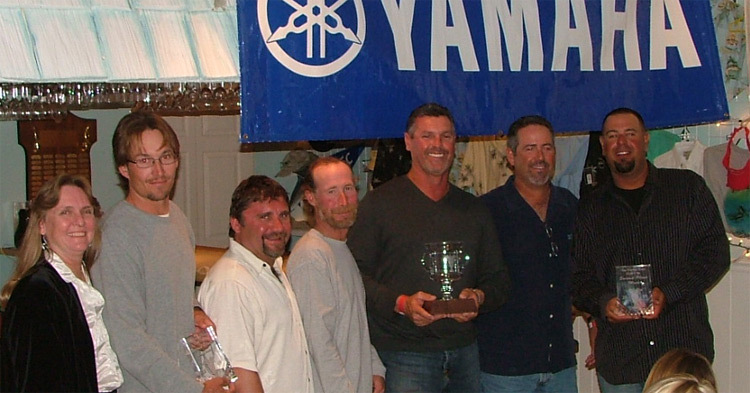 The accomplishment of this team will go down in history as one of the biggest wins in Sailfishing. Fenton Langston was all smiles at awards night giving kudos to his captain, crew and fellow anglers. 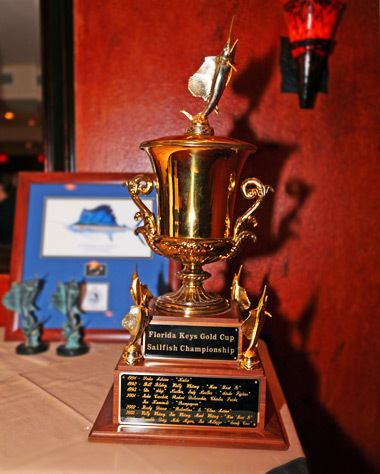 The Relentless team will have their names engraved on the perpetual trophy that is displayed at the Islamorada Fishing Club. 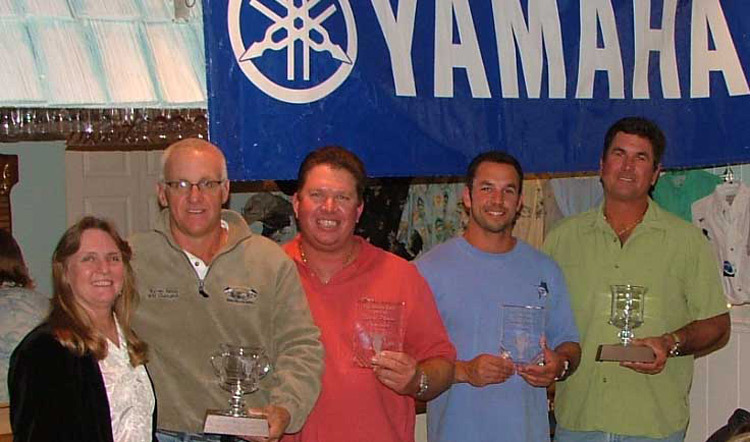 A total of 60 Anglers competed in the 2009 Florida Keys Gold Cup. The 15 teams released a total of 351 fish during the three events. The Reel McCoy found themselves in second after the series with a team total of 37 Sailfish releases. Third Place was taken by Wound Up last year's winner of the coveted event. Wound Up released a total of 32 Sails during the three events.